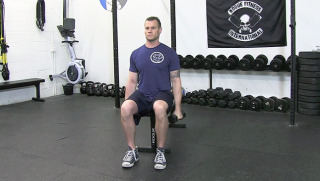 Start in a seated position on the bench while holding a pair of dumbbells in each hand. 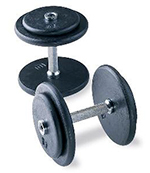 Keep your back straight and chest proud as you raise the dumbbells to shoulder height. Lower the dumbbells back down to your sides with full control.